Though I have been aware of the funklenkpanzer units I have not really focused on them that much. 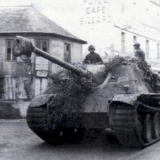 However a chance glance at some status reports of the Pz.Abt. 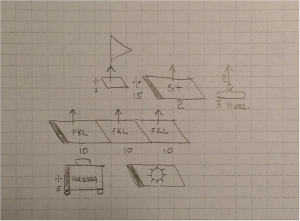 (FKL).301 while browsing through documents of the 14 PD intrigued me so I began to dig further. I sometimes wonder why I can seem to finish any real research but i guess it is obvious. I can’t seem to help but get pulled into a new topic which totally side tracks what I was doing to begin with. So this is what I hope to be the first of several posts on this unit type. Basically just sharing what I find so that other may use it in their research or work. This is in no way meant to be comprehensive research on the topic. First just a brief description. The Funklenkpanzer (Radio steering tank) were units that used tanks as control vehicles to guide remote controlled demolition vehicles to their targets. Basically a remote controlled vehicle would be driven up to the target, release its cargo bin, driven back and then then the explosives would be detonated remotely. To control the remote units tanks were used as these units operated in the front lines. 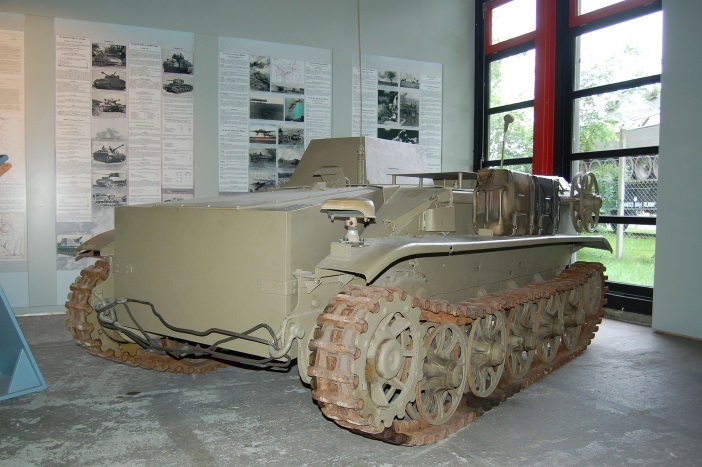 The original control vehicles were Pz.Kpf.Wg. III then the Sturmgeschütze III was used. In the later years of the war we see some units using the Tiger I and Tiger II. There is a book called Funklenkpanzer by Markus Jaugitz, I had it a while back and it’s a very nice book with lots of detail and photos. If someone was going to make a serious study of this topic I would highly recommend it. It is however on the high end in terms of price so be prepared. In any practical sense these units first appeared on the Eastern Front in summer of 1942 using the Pz.Kpf.Wg. III as the control tank. New units were formed using the StuG III in the summer of 1943 in time for Kursk. The main role of the unit was demolition and so the most important vehicle in the battalion would be the vehicle carring the demloition charges. There were various models but the most common seemed to be the Borgward BIV or the Sprengladungstrager Sd.Kfz. 301. As already metioned each company had 36 BIV’s for a battalion total of 108. The vehicle weighed in at 3.5 tons and was powered by a 6 cyclinder engine delivering 49 hp. It carried 450 kg of explosives. I won’t go into any more detail on the Borgward but one can check out the Wiki article (link below) for additional info. I also have a few US Intelligence reports on the Borgward that i will post soon. 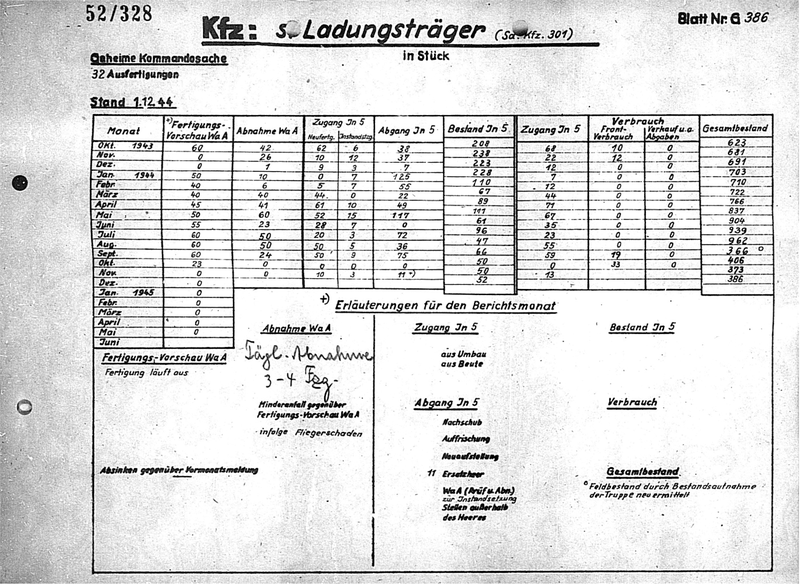 Two tables with production statistics. These actually don’t show specific production but do show acceptance by Wa A – Heeres Waffenamt – which is the Army Ordnance Department. They also show acquisitions and dispatches by In 6 (Motor Transport Inspection Office), combat losses and total remaining in use. if nothing else these tables give you an idea of how many units of a specific vehicle were placed out in the field. 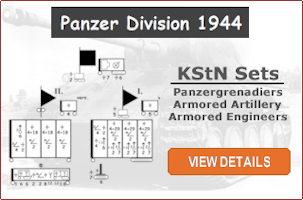 In looking over the available KStN it seems that KStN specific to the Funklenkpanzer did not become available until 1943. The leichte Panzerkompanie f (1.1.1943) provided for 10 Pz.Kpf.Wg. 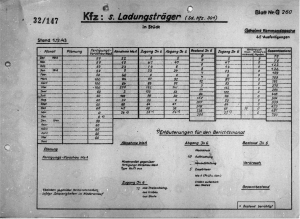 III and 24 Sprengstofftrager (Sd.Kfz. 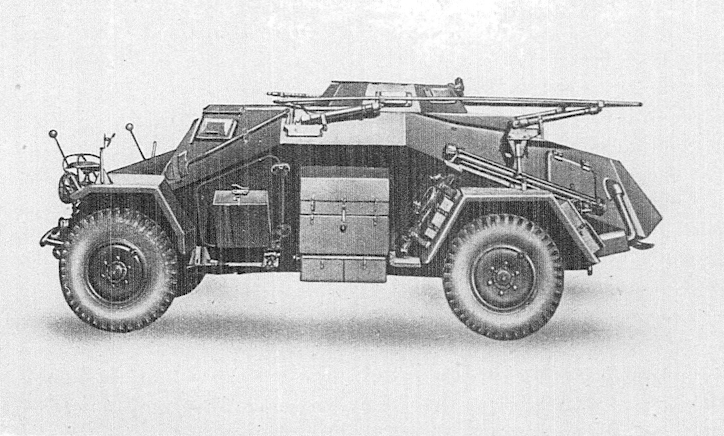 301), also 12 Sd.Kfz. 301 in reserve. The vehicles in the company were organized into two platoons, each with three groups. Each group having of one Pz.Kpf.Wg. III and 4 Sprengstofftrager. 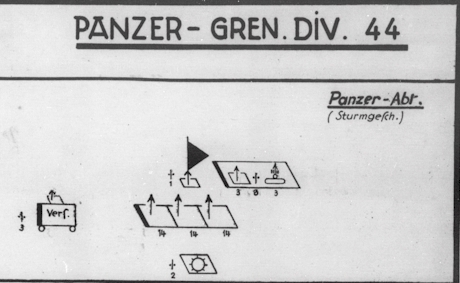 Then each platoon staff had a Pz.Kpf.Wg. III and the company commanders group had two Pz.Kpf.Wg. III, giving the total of 10 Pz.Kpf.Wg. III. The HQ Company also had two Pz.Kpf.Wg. III as Panzerbefehlswagen. One Sd.Kfz. 267 (FuG.5 & FuG.8) and one Sd.Kfz. 268 (FuG.5 & FuG.7). This gives a grand total of 32 armored vehicles plus the Sd.Kfz.251/8, armored ambulance. 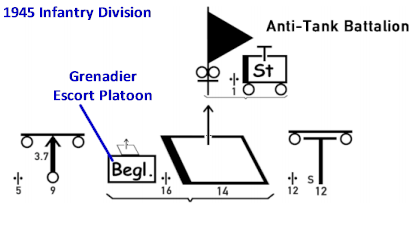 So the organizational diagram for the battalion might look like the one below. More to come on status information on specific units and organizational information. Any feedback or comments are welcome. I know you are a big fan of the Sturmpanzer and their deployment. In the Warsaw Uprising, which I have been studying for a couple years, Stu.Pz.Abt. 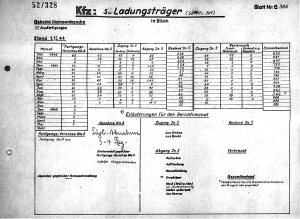 218 worked with or in the same area as Pz.Abt.302 (FKL). 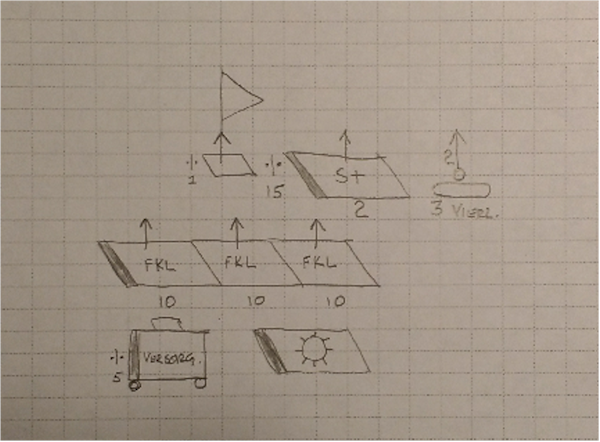 I have come across some documents from AOK 9 that may be of interest to you. I am not sure how much detail you like to have, but I for one am a big fan of minutia. I definitely agree that you cannot have too much information. 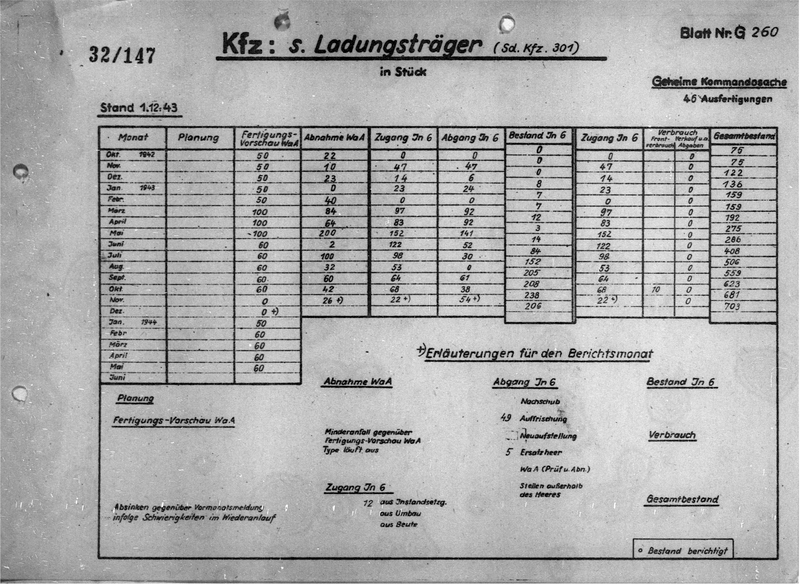 I went through the records of the 9.AOK a few years back and documented the information for Stu.Pz.Kp.218 and the Sturmmörser unit. Mostly status reports, unfortunately not much in the form of actual operational information.